Resource Parents complete 12 hours of pre-service training. Pre-service training is designed to so that a Resource Family can learn to meet the needs of children in foster care, and to be a member of the Child Welfare Services Team working to meet the needs of the child. Youth in foster care all have one thing in common: They all need families to love and support them. Our County. 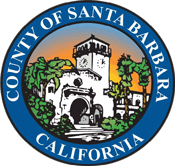 Our Kids, a program of Santa Barbara County Department of Social Services, relies on resource families who are ready for the life-changing experience of helping to nurture and heal a child who needs a place to call home. If you are interested in making a difference in the life of a foster youth and learning more about the many ways of becoming a resource for local foster children and youth, you have the opportunity to attend a Resource Family Orientation meeting. Fill out the below form to receive information on becoming a resource parent. If you have questions about the new Resource Family Approval process, please contact Leticia Alvarez at (805) 681-4542 or l.alvarez@sbcsocialserv.org. Orientations are offered in English only. Please contact Leticia Alvarez to arrange for orientations in another language. Interested in having a child placed with you through Foster Care, Relative Placement or Adoption? Your first step is to attend one of these Resource Family Orientation sessions. During these orientations the process will be explained and applications will be distributed to attendees. No registration necessary to attend.